So my Pebble watch arrived the other day. I love it. The screen is lovely and highly readable even in low light (and if it’s too low, a flick of the wrist turns on the backlight for a couple of seconds). But initially there was a little disappointment with the limitations of the watch. Only basic notifications, simple alarm, no stopwatch/timer functions – some of the things my old watch can do without being smart. Pebble Dialer: Allows for phone control from your Pebble. Picking up incoming calls, enabling loudspeaker, muting the mic, hanging up, dialing someone from your contacts, etc. The Pebble has caller ID and call rejection built in, but Pebble Dialer takes the idea and runs with it. Multi Timer: Multiple timer app for countdowns and stopwatches. I like countdown timers. I like multiple countdown timers. They help with cooking. (Yes, that’s actually why I like them). This is the best (and free!) watchapp for that. 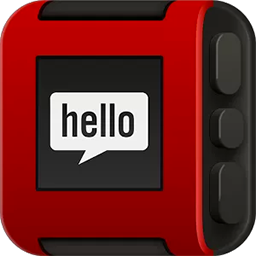 Canvas: Like the fact that there are 65,000+ watch faces already available for the Pebble? Want to make your own straight from your phone? Canvas is your app. I have a simple word time watch face with my phone’s battery percentage and the date in smaller text at the bottom, but you could have anything like weather info, current unread mails/sms, next appointments, etc. 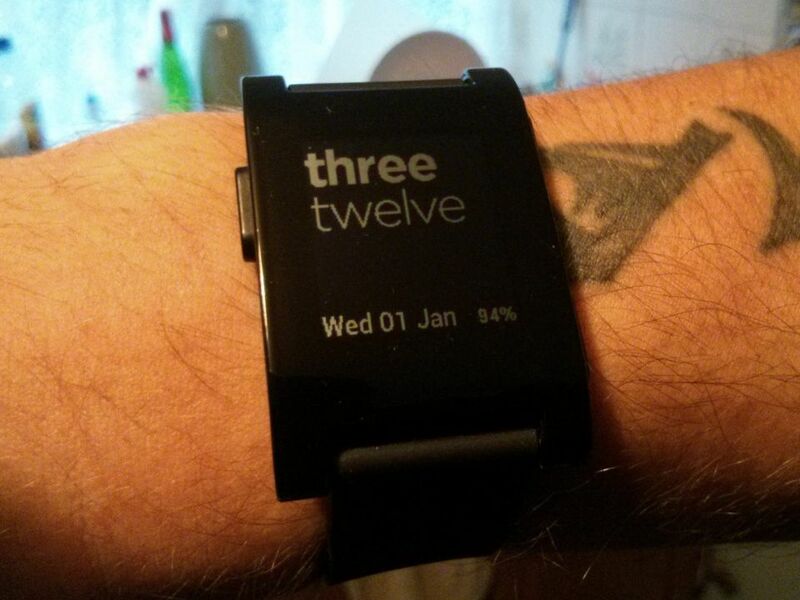 Pebble Locker: Quite simply, if you’re in range of your phone while wearing your watch the lock screen is disabled. If you go out of range the phone’s lock screen is enabled. It’s a bluetooth tether that keeps your phone semi-secure. I also use a calendar watchapp that simply has a monthly scrollable calendar with appointments highlighted on it. This entry was posted in Electronics, Life, Productivity and tagged canvas for pebble, multi timer, pebble, Pebble Dialer, pebble locker, pebblewatch, smartwatch, watchapps on January 1, 2014 by dilandou. … makes things more complicated, for simplicity’s sake. 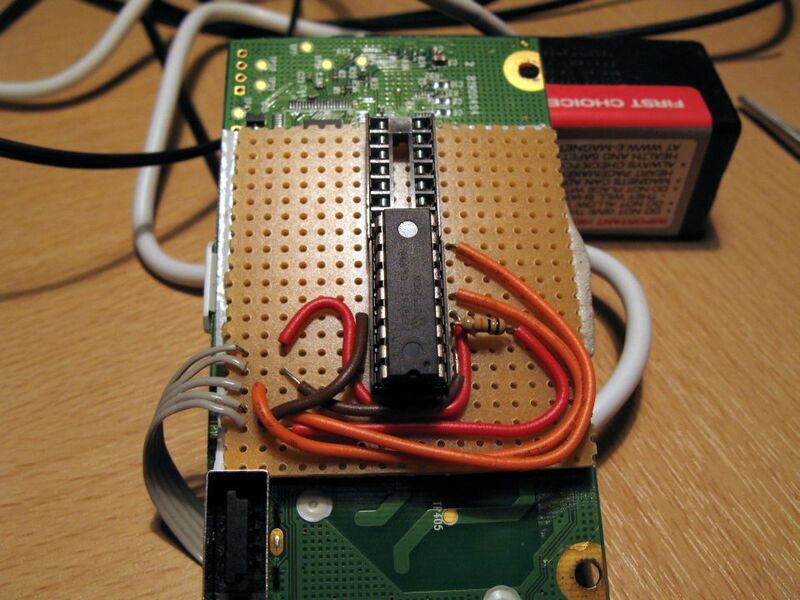 This entry was posted in Electronics, Life, Productivity on April 28, 2011 by dilandou. Update 2: It seems that syncing is impossible directly from the RF module and PC, but if the wireless controller you use was already synced with the RF module, and hasn’t been re-synced with another Xbox since, it will work. However, I am working with another modification I found which adds LED and sync enable functions by means of a serial connection with a PIC16F628A μC. You can find the related forum post here: Link (and see how my thrown together version of it looks [here] and [here]. Messy, I know :P). Update 4: Alternative means of syncing mentioned in the comments by George. Update 5: Further testing on alternative syncing method shows how non-play & charge kit compatible peripherals can be synced -without- a microcontroller. Thanks, Pat. 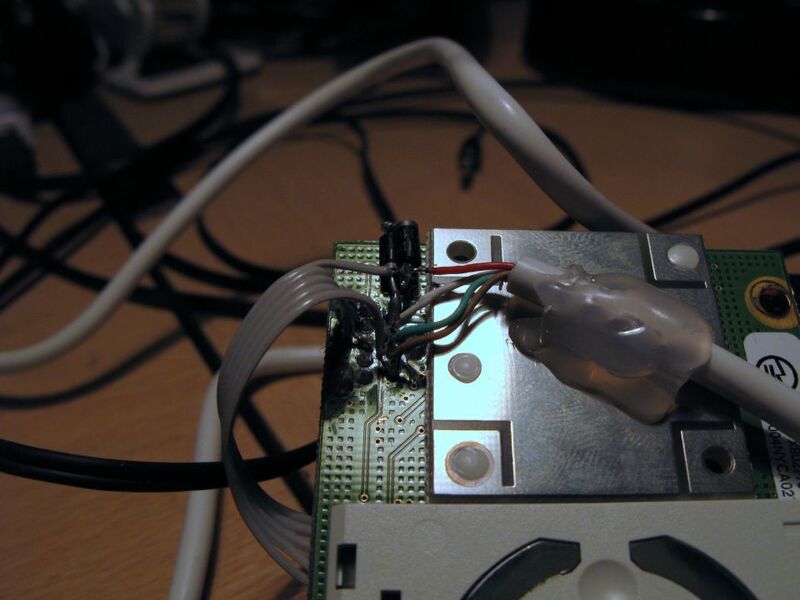 Yesterday I had a thought – I don’t like having a wire to the Xbox360 controller I use for games on my PC. As I’m tight on cash right now I figured I’d have a quick look around to see if there was a way to use a wireless controller on the PC without going out and buying the official wireless transceiver. I was thinking that there may be some other RF transceiver that could be modified or adapted to work with it. As it happens, there -kind of- is. 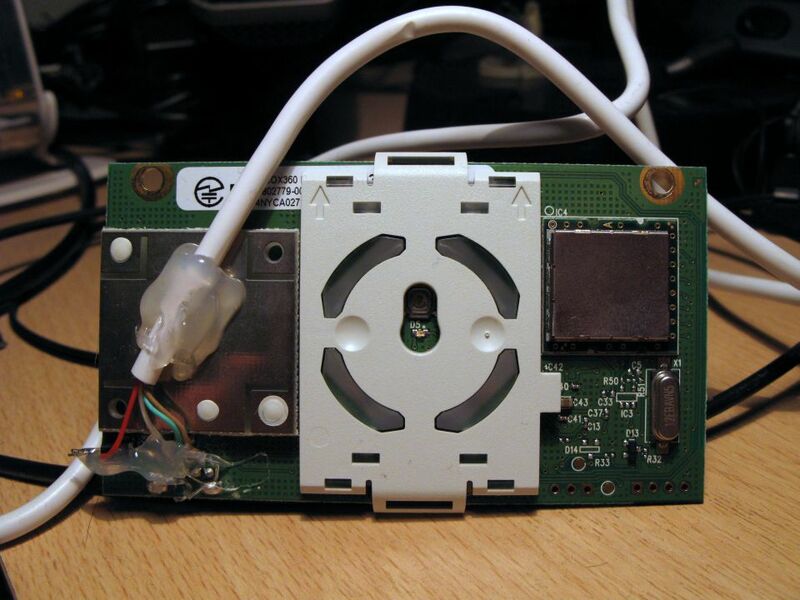 Dead/Red Ringed Xbox 360 you don’t mind cannibalising. Any old USB cable you don’t mind cutting. Two diodes – a couple of 1N4001 or equivalents will do. Basically it’s just there for a forward voltage drop WHICH IS VITAL (unless you don’t mind burning the board out and killing your USB controller). Pro tip: Instead of a small plastic knife that they say to use to ping open the case, you can either buy a tool for it, make one out of an old CD/DVD spindle cover, or just rip the damn thing open with a screwdriver (after all, it’s dead right?). It’s the board on the front of the machine where the ring and power button are. It’s held on by 3 screws, so be sure to pop the little plastic part off to find the third screw. Don’t go trying to pry it off like I almost did. Once the screws are out it just unplugs. And that’s your part. Beginner’s mistake/brain fart moment warning: Make sure the diode is the right way around. I chose to cut the diode legs down a fair bit and soldered it off to the left of pin 1, along the bottom edge of the RF module. You might like that idea, you might not. 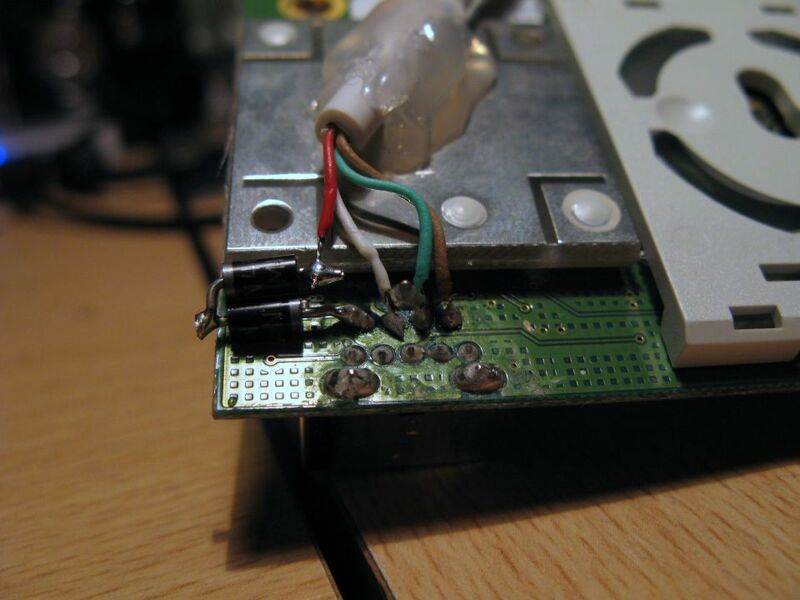 It’s up to you how you solder it. I could have been neater, but I honestly didn’t see much point. I’m not going to make a project box for it or anything, and it’ll be hidden away somewhere so practicality > looks. I will mention again that the diodes are ABSOLUTELY NECESSARY. The whole board runs on 3.3V while USB standard is 5V. The diodes that you put in series on the power line will lower the voltage to tolerable levels for the board – almost exactly 3.3V, to be honest (my multimeter is showing 3.34V). 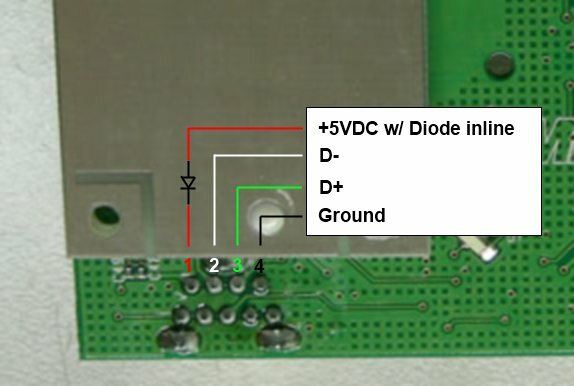 From what I’ve read in comments in various places the RF board likes to burn out quite spectacularly without a diode in place, taking the USB controller it’s connected to with it. I was paranoid enough about it to actually test the unit on my old Macbook (that I neither care about nor use) before trusting it on my main machines. Congratulations. Now for the software. This bit isn’t all that scary. You just need to modify the .inf file that comes with the official Microsoft drivers to allow for the different PID of the RF controller of the Xbox 360. First, if you don’t have it already, download the Xbox 360 Accessories Software for your operating system from the Microsoft gaming software download site, and install it. Now, before plugging the RF module in, you need to do that modifying I mentioned. Head over to c:Program FilesMicrosoft Xbox 360 Accessories (or wherever you installed it to) and make a backup of Xusb21.inf before opening it in your favourite text editor (Notepad++ is nice for it’s ini support with collapsing headers etc). The parts you’re going to modify are under the headers [MSFT.NTx86.6.0], [MSFT.NTamd64.6.0], [MSFT.NTx86], and [MSFT.NTamd64]. After you’ve saved the changes, go ahead and plug in the RF module. Chances are it will complain that drivers can’t be found. Cancel out of the hardware wizard and head over to the device manager and find the Unknown USB Device, or whatever it is your flavour of Windows has decided to call it. You’ll know which one it is by the yellow !triangle! (and if you don’t have a clue what I’m on about, what are you doing trying to hack an Xbox component on to a PC in the first place?). Give the device a right click and update it’s drivers, but tell it you have a disk and navigate to the Xusb21.inf you modified. It might complain about unsigned drivers, it might not, but if it does just tell it to continue. At the end of it all you’ll have an Xbox 360 Controller for Windows device with a Hardware Id of USBVID_045E&PID_0291 in your Device Manager. If not, reboot. 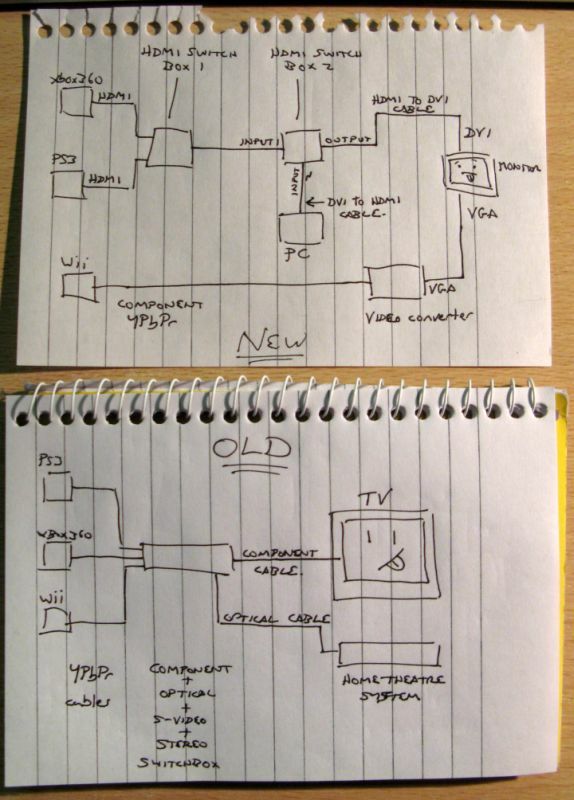 After all that, try syncing your Wireless controller with the unit. With any luck you should have a controller showing in your gaming devices. Give it a quick test with the diagnostics, maybe calibrate it etc. Any questions feel free to ask in the comments below and I’ll see what I can do to help. 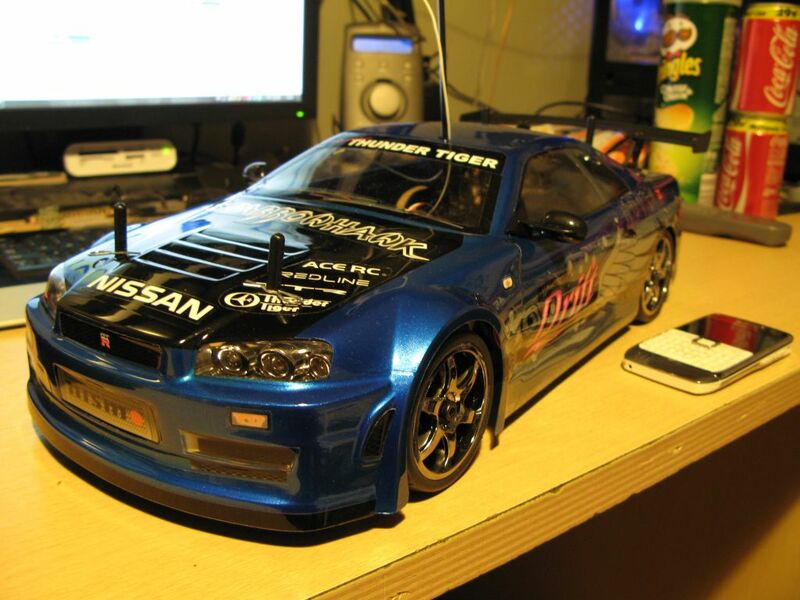 This entry was posted in Electronics, Learning, Productivity on March 7, 2011 by dilandou. This entry was posted in Electronics, Life on December 28, 2009 by dilandou.